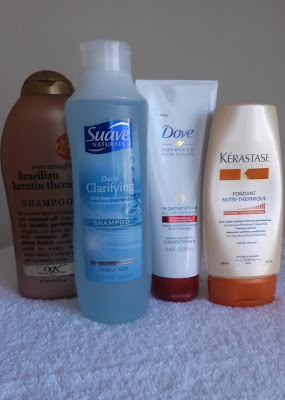 I'm sharing nearly all of my beauty products with you today, as promised in the comment section of this post. 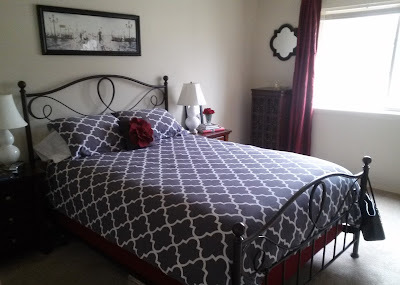 For budget reasons, I don't use a lot, plus many of my products are not very expensive. 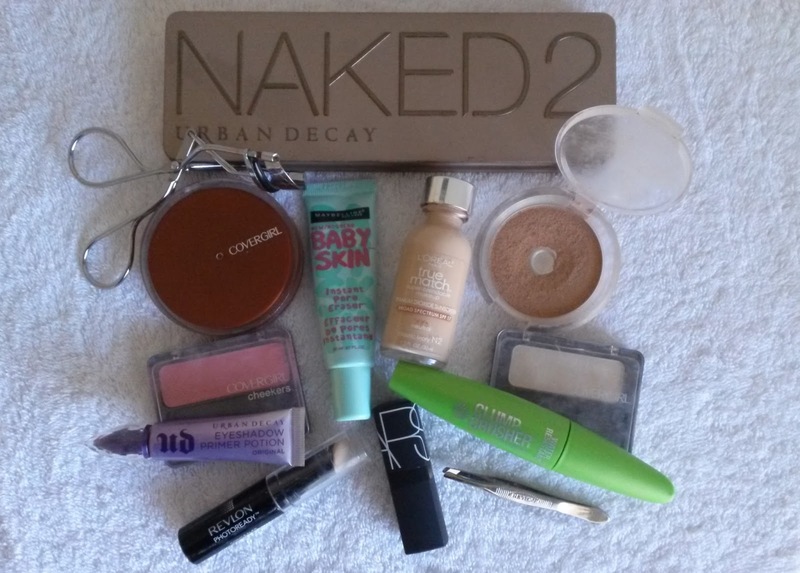 Nonetheless, I do love them and these items help me to achieve le no makeup look for everyday. Unless otherwise noted, I pick up the beauty product at Target. I add products whenever I am able to do so. Also, check out Adrienne's favorite beauty products over on her blog The Rich Life on a Budget. I might have to try out some of her recommendations such as the makeup remover available at Target! My everyday shampoo is Organix Ever Straight Brazilian Keratin Therapy Shampoo. It is loaded with ingredients I love. 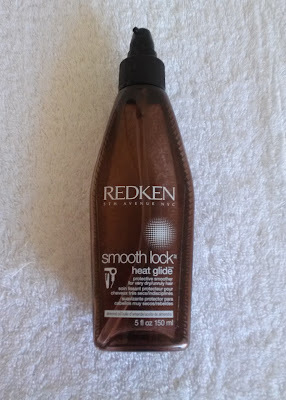 My hair is naturally wavy, but I always wear it straight, so I search for products with smoothing Keratin in them. Coconut oil is known to strengthen hair and since it is hydrating, makes it soft as well. Plus, the cocoa butter makes this product smell amazing in the shower. I really love when my hair looks clean, not greasy or weighed down by a product's residue or wax. 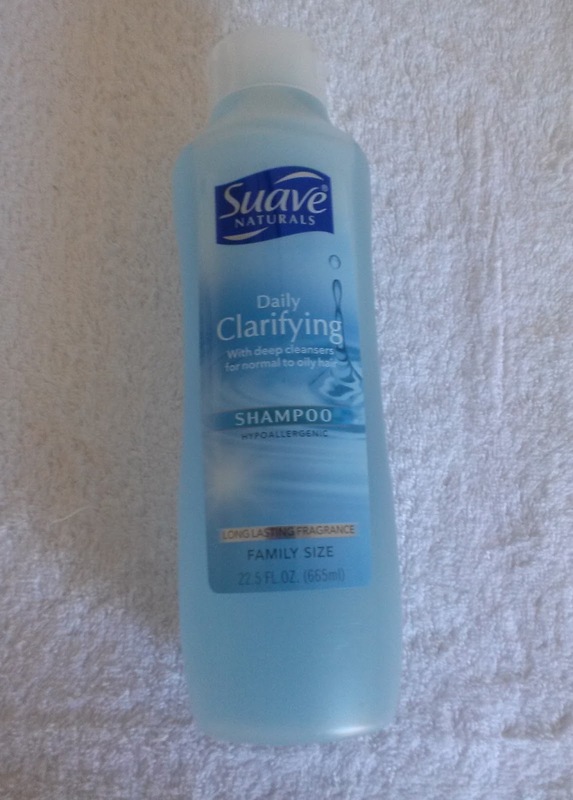 So, about once a week or so, I use Suave Naturals Daily Clarifying Shampoo. This gets my hair seriously clean. Plus, it is really cheap! Love. 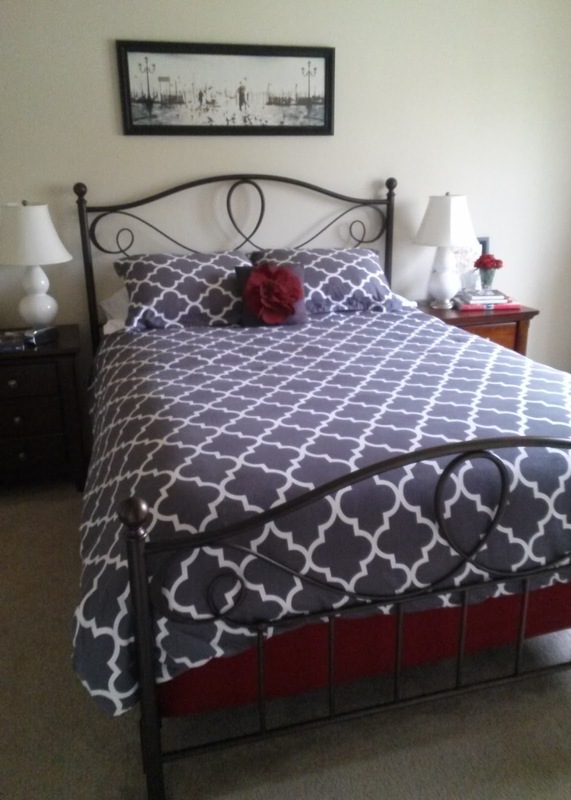 Not only is my next product new to me, it is new to the market as well. Luckily, new products are often discounted. 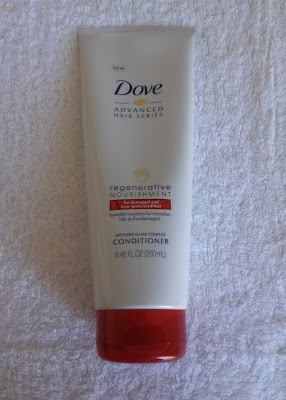 I love Dove soap, so I wanted to try out their new conditioner, Dove Regenerative Nourishment Conditioner. This rich formula is designed for damaged and over-processed hair. Since I use a blow dryer and flat iron everyday, my hair happens to qualify. I think it does a good job. 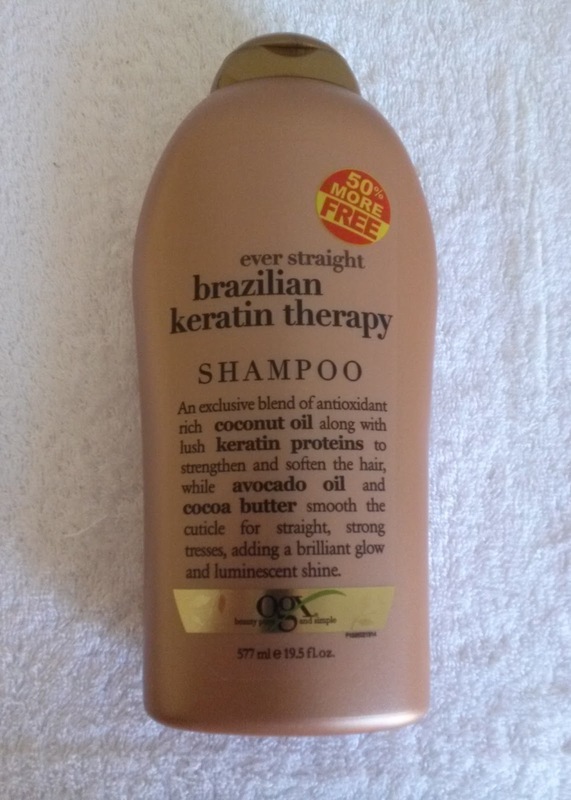 It contains the Keratin that I love. 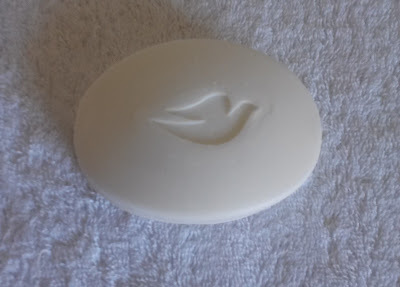 Please note, you have got to like the smell of a bar of Dove soap because this product's smell is a concentrated version of it. Luckily, I love this perfumed clean scent. I am a loyal Dove customer. 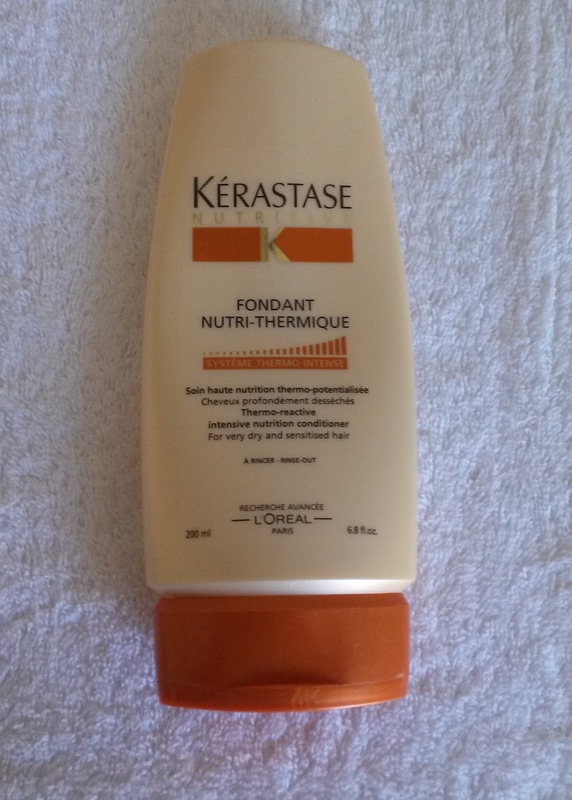 Kérastase Nutritive Fondant Nutri-Thermique is one of my most expensive products, but it is like two products in one. It's both a conditioner and a heat protectant. 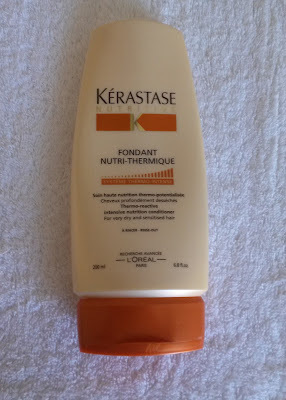 This French product comes highly reviewed and I like how this intense product works on my hair. I buy from the brand's US website. Twice a month, I do a moisturizing hair treatment. 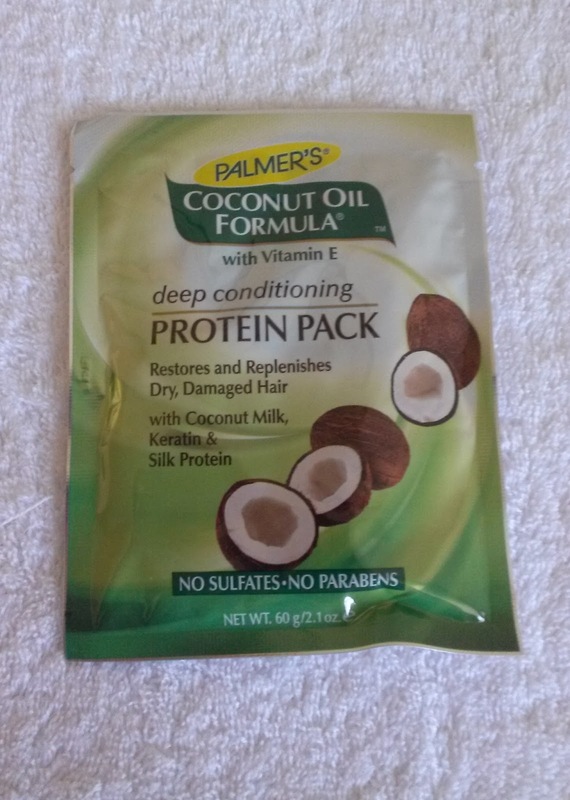 Knowing that my Pantene mask contained wax that weighed my hair down, I discovered Palmer's Coconut Oil with Vitamin E Formula Deep Conditioning Protein Pack in this Real Simple feature. I use half of one of these packets each time. This product is really rich, moisturizing. and makes my hair touchably soft. Again, this little gem is packed with favorites coconut oil and Keratin. I love it. Whenever I use the Dove conditioner, I use a heat protectant on my wet hair, before I blow dry. I have been using Redken Smooth Down Heat Glide for years and years. I pick it up at a hair salon. I mainly use hairspray at the roots of my bangs in order to hold some volume. 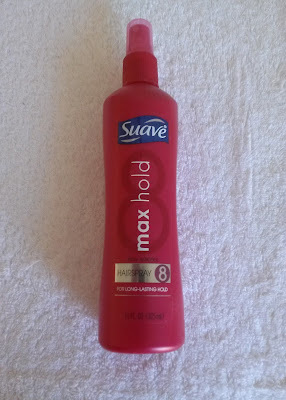 This strong formula in Suave Max Hold Non-Aerosol Hairspray lasts all day (when I do not fiddle with my bangs that is). On trips or overnights, I have a travel-sized bottle of Dove Extra Hold Hairspray which has a flexible hold that is not as strong and often frustrates me! Anyway, sometimes, I'll use a bit on unruly hair on top of my head. As previously noted, I love Dove products, so it should come as no surprise that I love Dove Deep Moisture Nourishing Body Wash. 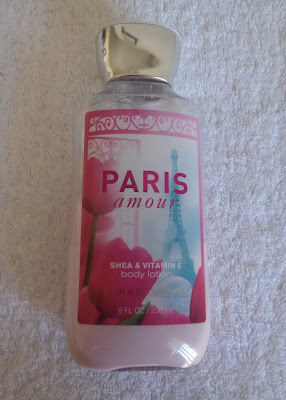 I like the scent, the fact that it's moisturizing, and putting a bit on a loofah for some exfoliation in the shower. 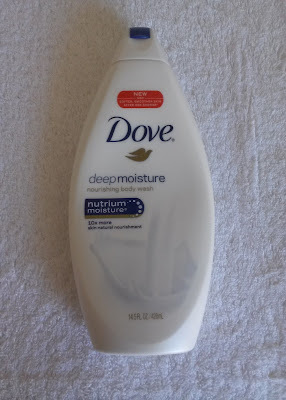 Following a shower, I like to apply a body lotion to my arms and legs. My favorite is Bath and Body Works Paris Amour Body Lotion. I adore its perfumy floral scent. I elaborate in this post. A Dove White Beauty Bar will always be the beauty product I've used for the longest time. I grew up with it. I love its scent. 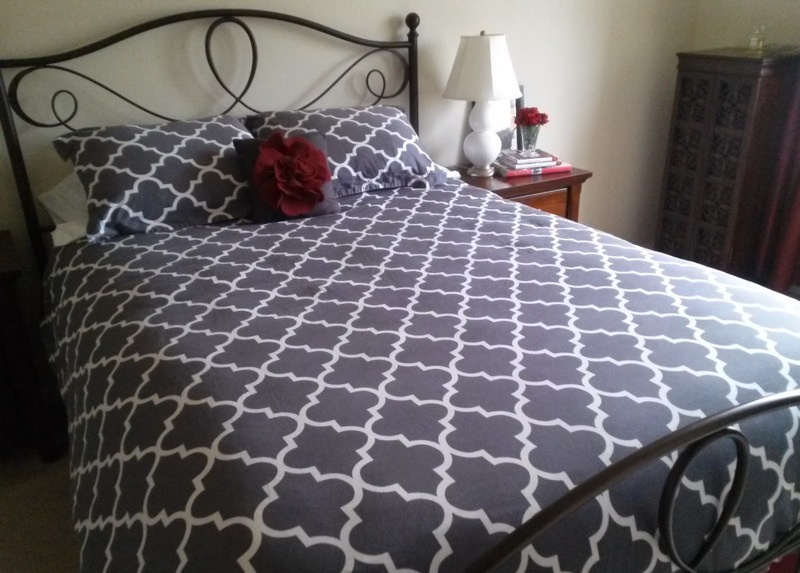 Often when I came out of the shared bathroom, my college roommate would comment on its scent, something like that whenever she smells it in the future, she'll think of me. I use it to wash my body, hands and face, as a shaving cream, as a face cleanser and as an eye makeup remover. 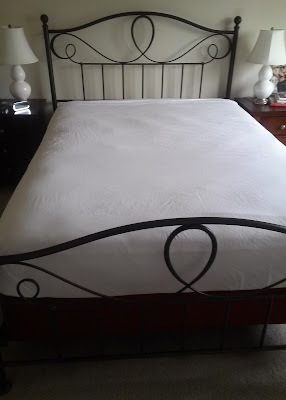 I will eventually own a separate product for each of those different uses, but I simply cannot afford to do so at the moment. 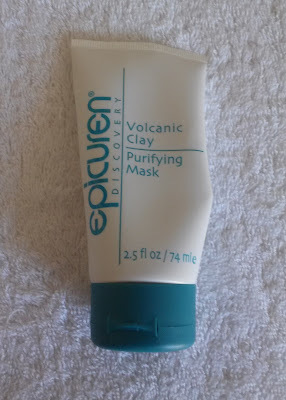 I believe that I discovered Epicuren Volcanic Clay Purifying Mask in one of the Madame Chic books by Jennifer of The Daily Connoisseur. My face feels deeply clean after my once-a-month (maybe twice...) application. I try to limit myself since this little tube is $19 a pop on Amazon. It's worth it. It's the only thing I've found that even begins to work on the huge pores on my nose. 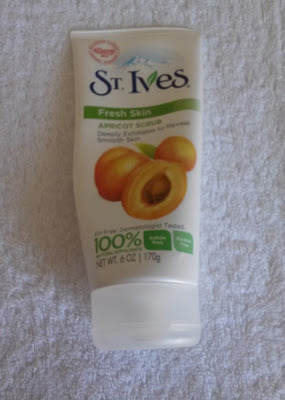 The Daily Connoisseur inspired me again with St. Ives Fresh Skin Apricot Scrub. My skin feels soft after a deep exfoliation twice a week. 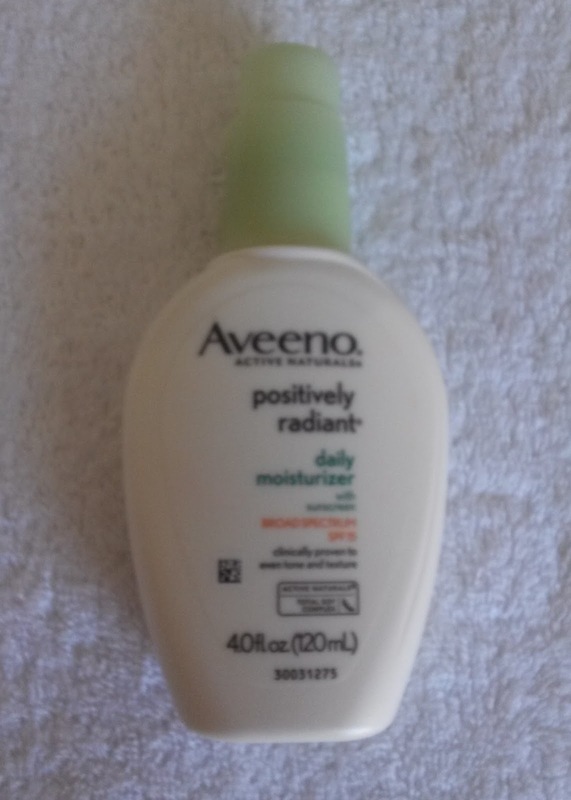 I use Aveeno Positively Radiant Daily Moisturizer with SPF 15 on my face and a bit of my neck every single day. I like that it provides moisture and sun protection. It's supposed to even out my skin tone; let's hope so! 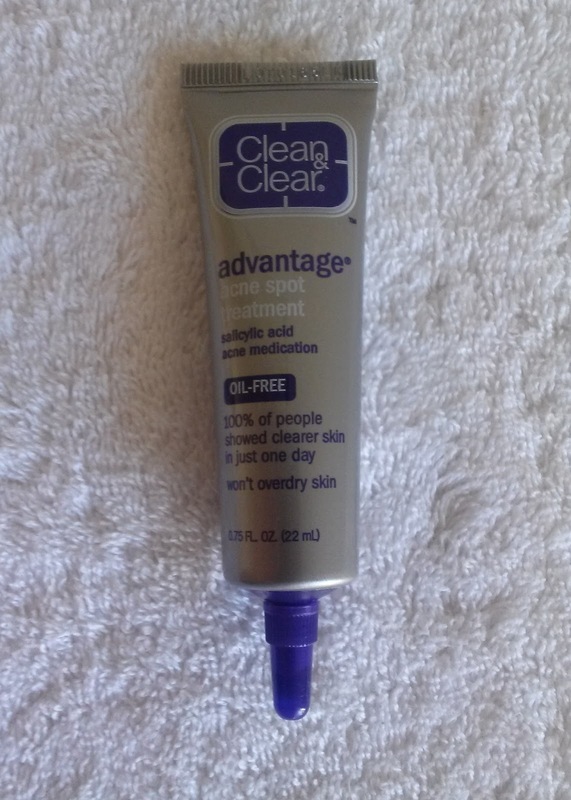 I used to apply the strong Clean & Clear Advantage Acne Spot Treatment on a daily basis, especially right before going to bed, but as I grow older, I simply don't need it as much anymore. It's nice to dry out a zit pronto when needed though. I used to use e.l.f. 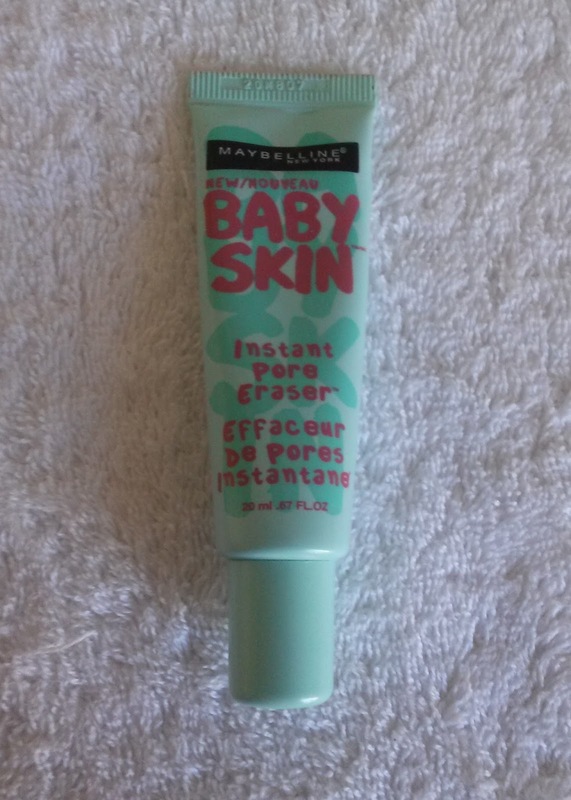 Mineral Face Primer, but a tube of Maybelline Baby Skin Instant Pore Eraser is so much easier to use and to tell when I'm running low, for a penny less. It definitely doesn't erase or even minimize my pores, but it's a decent clear primer, so that my makeup I apply on top looks a tiny bit better than if I didn't use a primer. I had wanted to wear primer for awhile, but Oksana of Foxy Oxie finally inspired me to try one over two years ago. Urban Decay Eyeshadow Primer Potion in Original is magic potion! 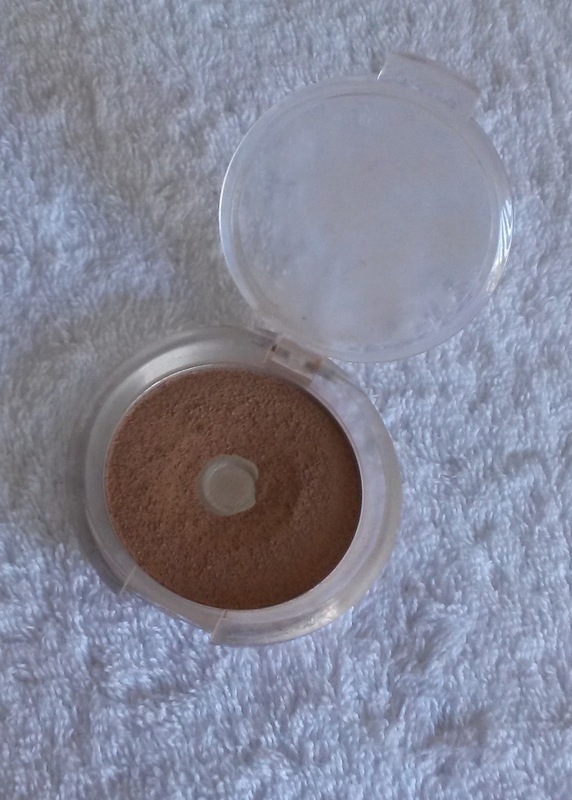 Be sure to blend your eyeshadow well because at the end of the day, it will look exactly how you applied it. It just barely settles into my deepest lines on the eyelid, a vast improvement when compared to using any other primer or none at all. This is my first tube, so I ordered the mini one from Sephora. When I replenish, I will go with the standard size. 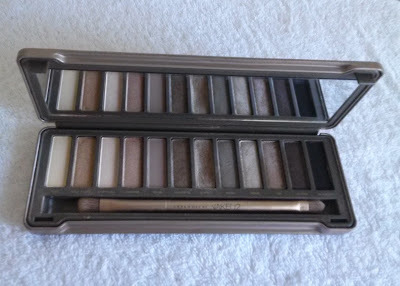 I don't use my Urba Decay Naked2 Eyeshadow Palette for le no makeup look everyday, but I still like to keep this high quality cosmetic around to have options or to primp before going out. I ordered it on Ulta.com. 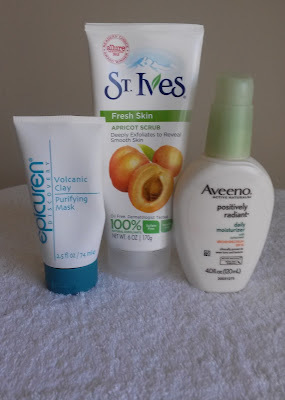 I use the following beauty products every single day to achieve a natural polish, le no makeup look. 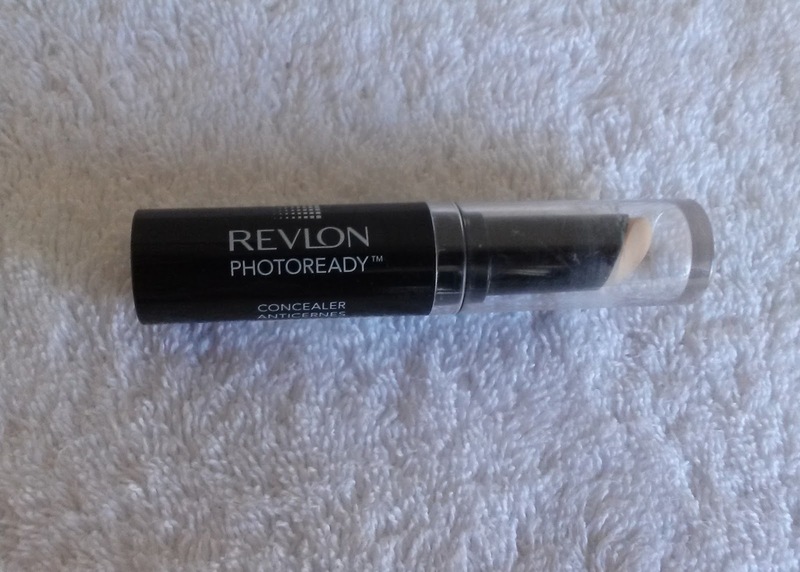 The first is Revlon PhotoReady Concealer in Light. I like its heavy coverage for my dark under eye circles, on my eyelids as well as covering any blemishes. 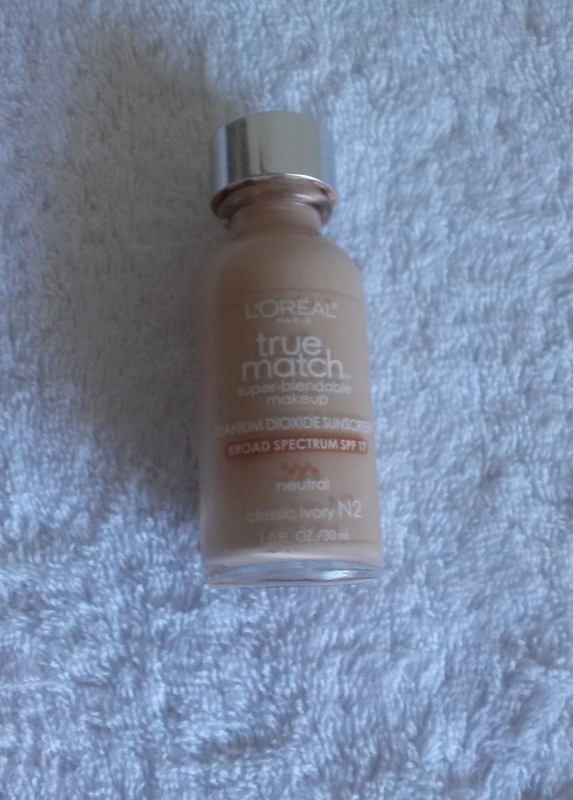 I like that L'Oreal Paris True Match Super-Blendable Makeup in Classic Ivory n2 matches my skin and goes on effortlessly. 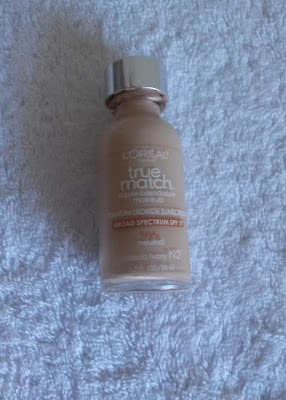 Plus, the coverage is good since I use less than I did with a CoverGirl foundation. I also appreciate the included SPF. This product scores a stamp of approval from this perfectionist since I can achieve a fairly even skin tone with it. 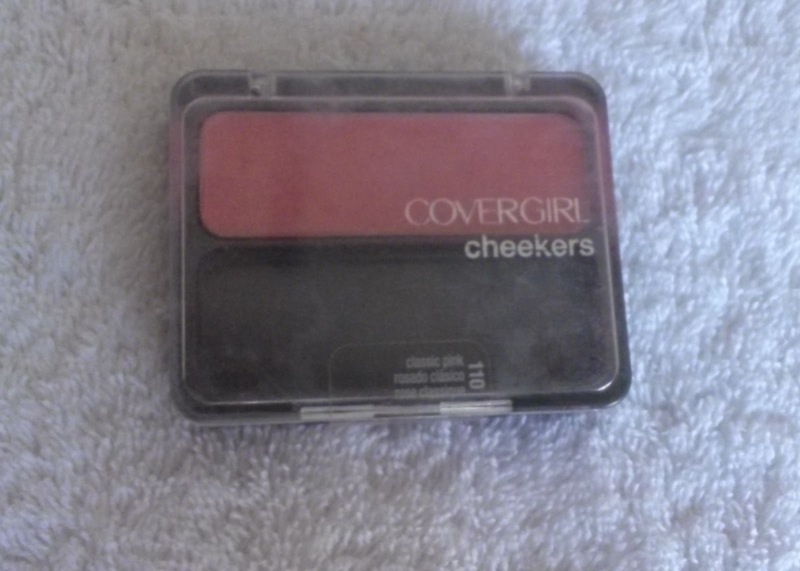 I tried this after Oksana of Foxy Oxie recommended it in this post. 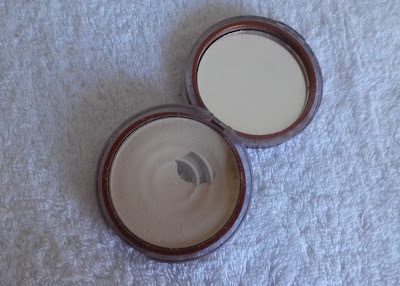 I've been using a CoverGirl Clean Normal Skin Pressed Powder in Classic Ivory compact for many, many years. 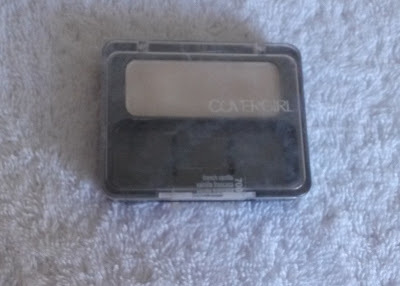 I actually use CoverGirl Eye Enhancers 1 Kit Shadow in French Vanilla as a highlighter in three places on my face. This shimmery cream shade is perfect for the purpose. 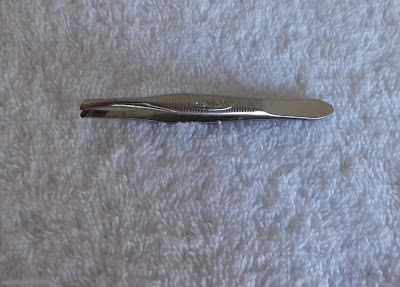 First, I brush under the arch of each eyebrow. Second, I dab a little around the inner corner of each eye. Lastly, I sweep a line on top of my low cheekbones. I spend time blending each spot well for a more natural look. I don't wear a color on eyelids for everyday very often anymore. Another tool rather than a product, but amazingly crucial. My long eyelashes are one of my favorite features, so I like to curl them so that they stand out. 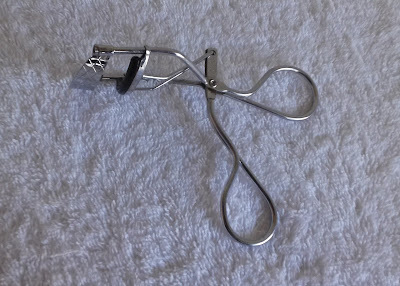 I always heat this Revlon Eyelash Curler up with my flat iron first for even better results. 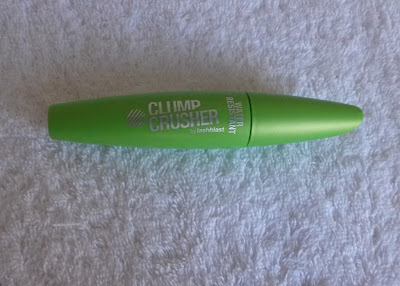 I love this mascara! 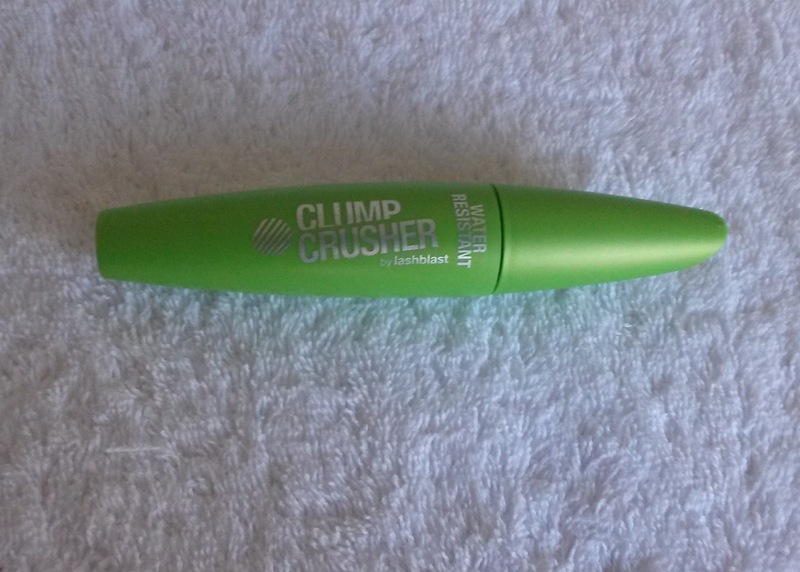 The CoverGirl Clump Crusher Water Resistant Mascara by lashblast in Black is light and clump-free for a natural look. 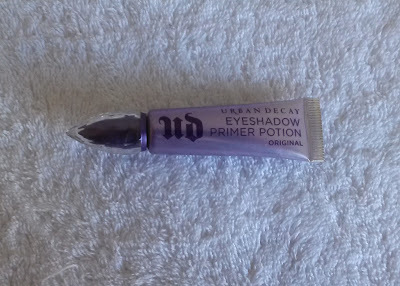 I wish it was just a bit more water resistant, so I would never have a dark smudge under my eyes ever. 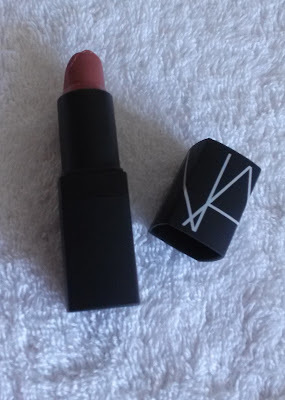 I am still thrilled with my new NARS Sheer Lipstick in Dolce Vita. In fact, I will have to replace at least one of my first two tubes in upcoming months. 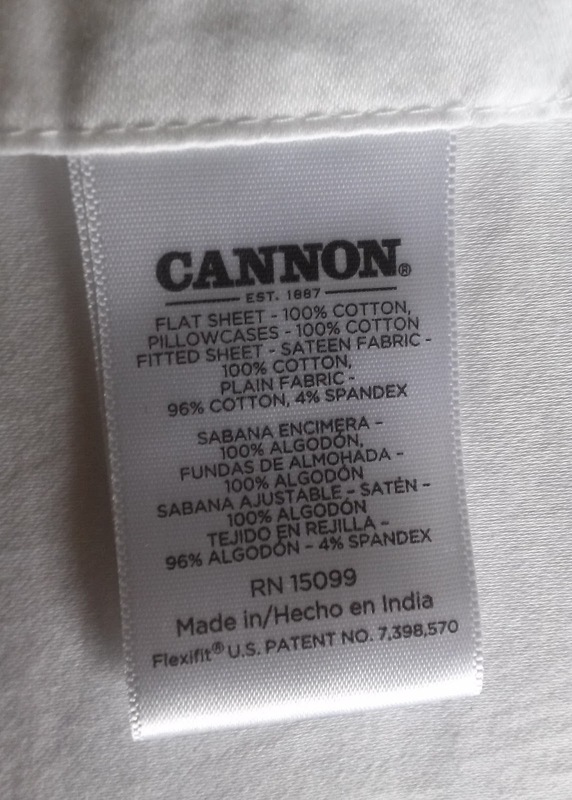 This is one of my pricey finds and I order it on amazon. So natural on me, I love that this is the color of my bottom lip and that it gives me more of a top lip. I also adore the feel of it. And it has an Italian name! Perfetto! Whew! That's 27 products! I hope this helps you, dear readers, in your makeup routine. If you have any suggestions for me, please let me know. This happens to be my 8th post this month. I know that I promised 9 every month in this post. Life has been rough. Exactly how will remain a mystery as those things have no place on this positive blog. Still, I feel bad for breaking my promise already. Usually my word is as good as a contract... I was committed and have been trying though. I also want to change that rule. For months with 31 days, I must post 9 times as promised, but I may post either 8 or 9 times during the shorter months of February, April, June, September and November. Stay tuned to the blog plus follow @theitaliagal on Instagram and facebook as well as my blog's Pinterest board! I do try to post extras on my social media sites. 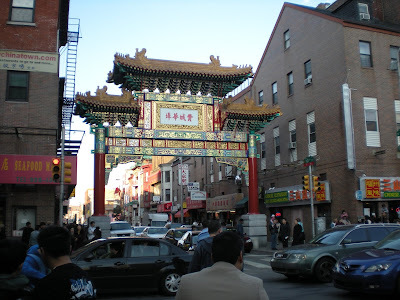 Follow me for sneak peeks of my trip to Philly! I'm going to Philadelphia! Over a week ago, I booked a round trip train ticket to my beloved city in the near future. I do not believe that I've been there since December 2014, meaning almost 15 months in between visits! I miss it so much that I knew that I didn't want to wait for my April birthday, when I'll likely return. Even planning the trips is a pleasure! 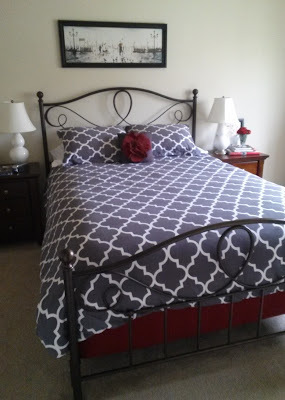 If I'm on Pinterest for awhile, I will search for things to do ...and eat! I have also been visiting uwishunu.com regularly for the latest events. Due to budget, it will actually be a quick day trip. I paid Amtrak with one paycheck and my next will give me some spending money. If the train arrives on time, I will only be in the city just over four hours. I simply cannot afford to be tempted to paint the town red this time. This is just a little appetizer, antipasti, to hold me over until the main meal is served. If I'm making travel happen on my meager winter commission, then anyone can travel. Please, just go. Anyway, even though I wouldn't mind staying all day, I plan to leave my apartment early in the 9 o'clock hour and get picked up from the train station at 5 PM, so it simply won't be an utterly exhausting day, which is a good thing. I'll see the hour and a half-long train ride each way as part of the trip. Maybe I'll purchase a magazine for the ride and/or read a book. I daydream of my day trip. Primarily, I plan to eat my way through my favorite place in the city, the Reading Terminal Market. (Check out their amazing Instagram account @rdgterminalmkt.) I was really craving cranberry pistachio biscotti from Termini Bros. back in December and will finally have the opportunity to pick up a box for breakfasts. At Christmas, my sister gave me chocolate truffles from Mueller Chocolate Co. at the next stall over and I also look forward to taking home a box of these too. (Even though I love chocolate, I never really paid this stall much attention as they hilariously promote their anatomically correct chocolate body parts! Chocolate kidney, anyone?) My sister said that there was a new burger place so I might go with a burger, fries and shake for lunch... Or I might go with a good ol' favorite, the delicious cheesesteak from Tommy DiNic's, really a roast beef sub with an Italian twist though. For dessert, I have to have cookies from the Famous 4th Street Cookie Company. I will likely savor a chocolate chip one, all warm and gooey since straight from the oven, right away. If something looks good at another of the many bakeries, then I might also take that item home! Perhaps I'll save ice cream from Bassetts for a visit in warmer weather... I really love exploring the market! Although heavy, the liquor store on the way to the market offers a decent selection of wine (as you can imagine when many restaurants are BYOB). And then there are those squashed-together pretzels sold throughout the city! There is Old City Coffee if I happen to make a beeline to the market after I arrive in town and want a cappuccino. But I also like the coffee and pastry at Di Bruno Bros. and La Colombe Coffee Roasters, both not too far away, in the same general area. I certainly never mind walking! Plus, the weather forecast is mostly sunny and 53 degrees F, which is the best you can probably do for early March! Both establishments are great for people watching. Di Bruno Bros. is a wonderful Italian grocery store/cafe/restaurant/"House of Cheese." It is expensive, but even if I don't buy anything, this is a place I love to browse. I subscribe to their emails and even they're fun! 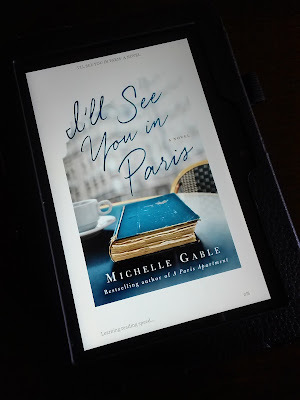 If I hit their Rittenhouse location or the aforementioned La Colombe, I would be on Walnut and Chestnut Streets, which makes a nice shopping district. Since I don't own a car and strive to be as independent as possible in not relying on rides from others, I don't even enter stores other than a grocery store, liquor store (can't wait to move and say 'wine shop') and Target often, so if I needed and/or wanted an item for my spring capsule wardrobe or just something special, I could easily pick it up. My favorite store in Philly would be a small accessories shop called Tselaine. Even though their finds are a bit more quirky than my taste, I still enjoy perusing it. My favorite jewelry shop is Fire & Ice and they have a location on Chestnut in a little mall called The Shops at Liberty Place. The city is always changing, so it's fun to see what's new. In fact, on a future visit, I wouldn't mind rediscovering East Passyunk, known for its dining (including, yes, Geno's and Pat's cheesesteaks), a few blocks behind where I used to live in South Philly. 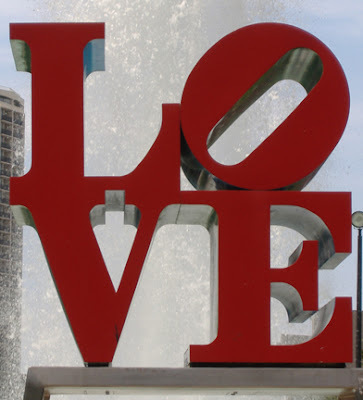 Believe it or not, I love Philadelphia for more than eating and shopping. It is an amazing city for art, culture and history. There is always something fantastic going on. I feel that this city is highly underrated. The big 'to do' when I'll be in town is the Philadelphia Flower Show. I've never been. I love flowers enough to go and think it would be amazing for my Instagram feed! Alas, at $27, I simply cannot afford the ticket on top of what I already have planned this visit. I will attend the annual event one day. 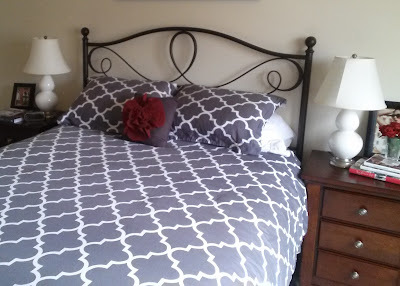 This will make the nearby market incredibly busy; oh well, I'll be in a very happy place! Over in the western part of Philadelphia, the Penn Museum's current exhibition is The Golden Age of King Midas (as in the guy with the golden touch). At $20 a ticket, I may also skip it this time too. Luckily, the show runs well into November, so I'll catch it later. My favorite museum is not the Penn, not even the Philadelphia Museum of Art, nor the wonderful Rodin Museum, but the Franklin Institute, which is not even art but science! (I always skip the science side.) Whatever their special exhibition is, it's fantastic. The current one that piques my interest is Lost Egypt, complete with a mummy. The price is again in the 20s, $24.95. Again, maybe next time. The PMA is hosting the traveling show, International Pop, on Pop Art. Even though I did focus on Warhol back in AP Art History during high school, I would rather visit the other exhibits I mentioned. When I was in grad school in Philadelphia, the Barnes Foundation was located out of town. Now that it has moved to the city, I should go. The collection specializes in Impressionist art (like Renoir), which is not my favorite, but might stir up some Paris memories! 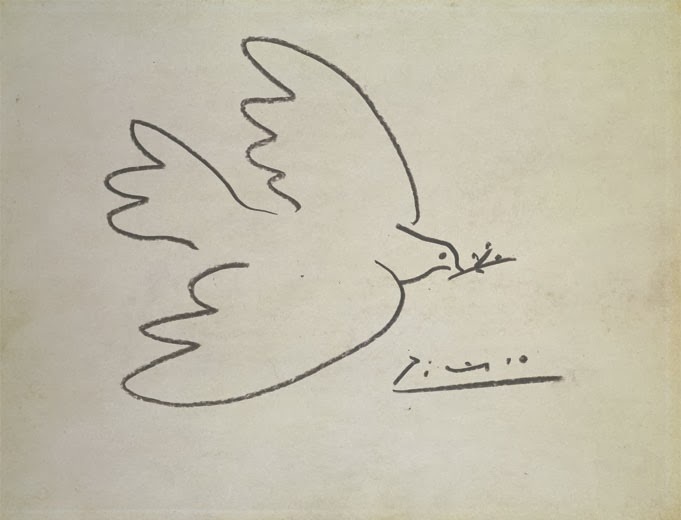 Their current exhibition is on Picasso. Admission is actually free one day of the month, the day of my visit, so I might squeeze a visit in... I have a lot to think about for my future trips! I didn't even mention the Liberty Bell in Old City! See, there are so many distinct and dynamic neighborhoods. 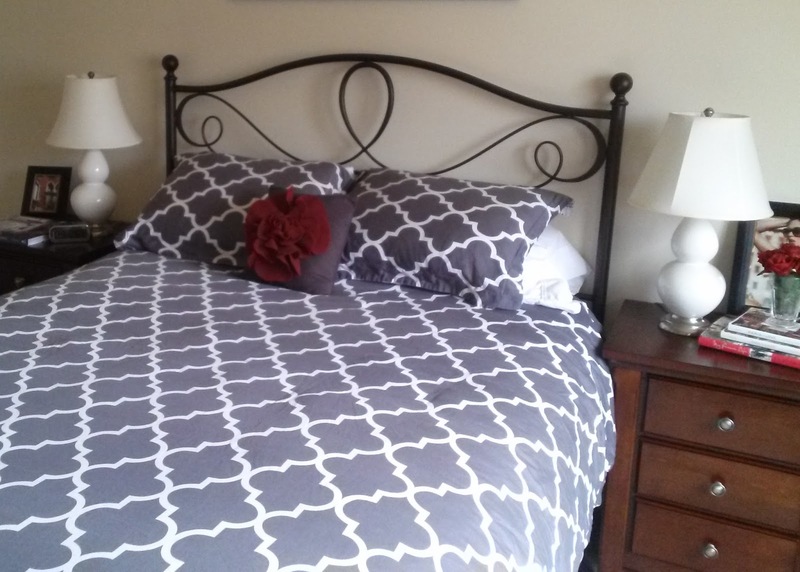 I barely scratched the surface with this post! I urge you to consider booking your own trip to Philadelphia sometime this year! I am so excited to go to this city I love! Not only do I enjoy visiting, I have lived there in the past and can imagine myself residing there again in the future. Any time there is good. I only have days left to wait for my next visit. Definitely follow me @theitaliagal on both Instagram and Facebook so you can travel with me vicariously! Keep me company with likes and comments! Of course, I will post all about it on the blog after the fact. 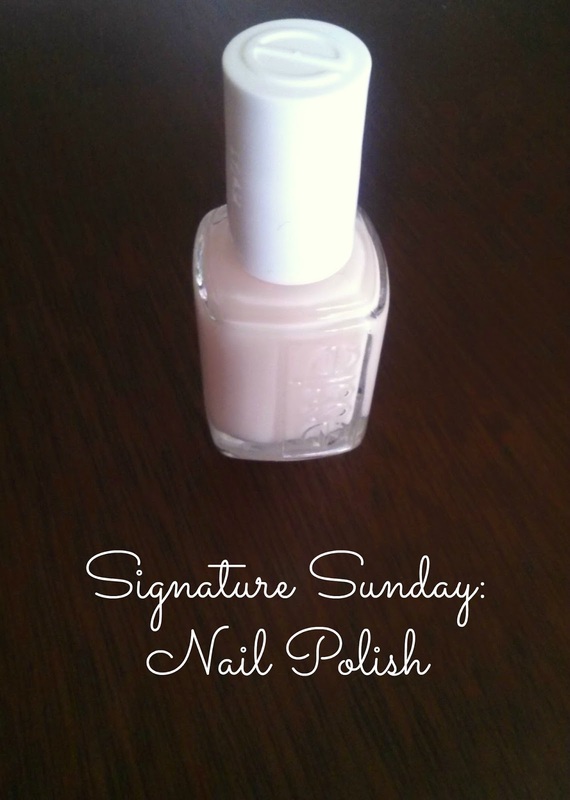 I continue with my little Nail Polish sub-series of my five signature polishes, revealing the second color in this Signature Sunday post. 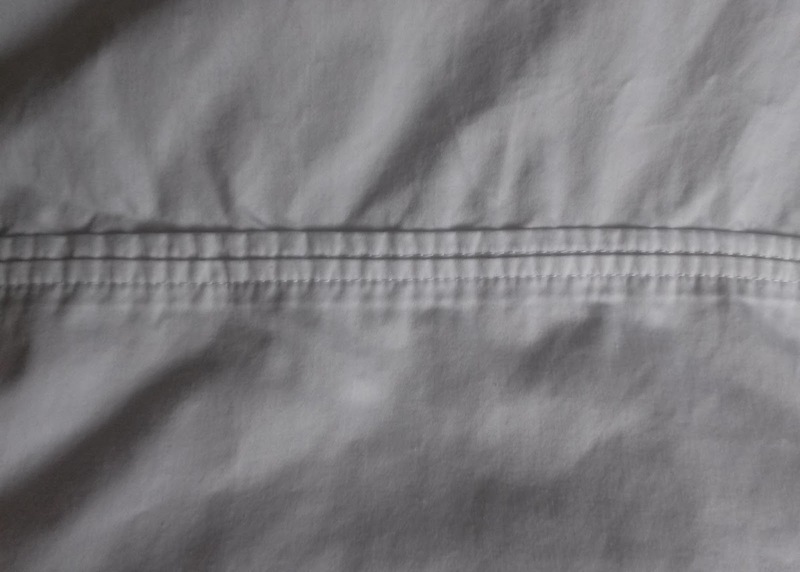 You can read about my first one here. 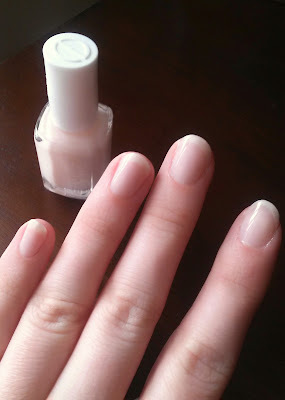 Today, I chose my sheer neutral polish called Mademoiselle by essie for my February manicure. 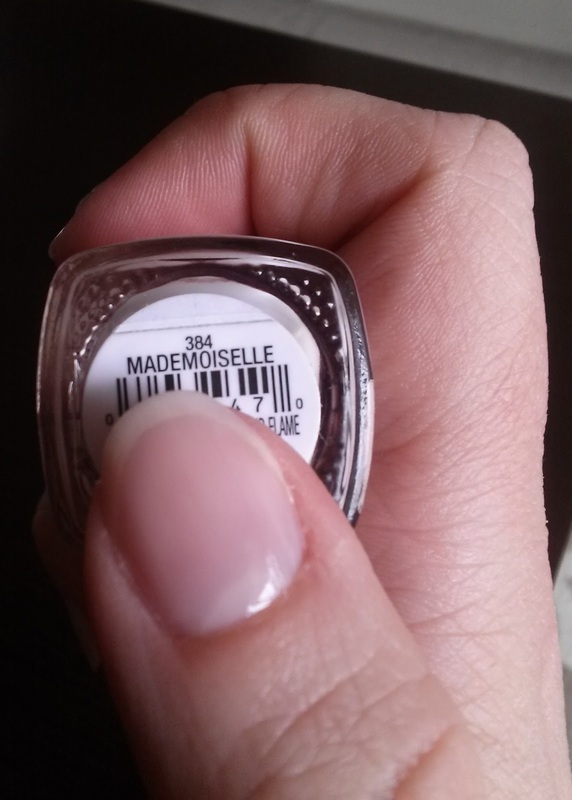 I bought a new bottle of this polish when I ordered Style Hunter from Ulta. I actually brought my own bottle to my regular nail salon this morning. I haven't had a professional manicure since October, so it was a nice treat. Also, even though the formula is decent, a professional can still paint a sheer better than this amateur can, so that it's flat, not streaky or uneven at all. I'm wearing two coats of color in the photos. This color achieves a chic, polished look, that almost appears effortless since it's understated. 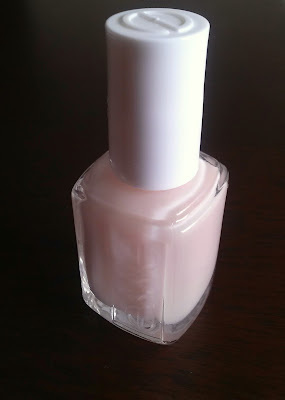 It's marketed as a "classic, grown-up pink" which I love! Anything timeless and sophisticated. It's almost like wearing a clear coat but it definitely has a slightly pink white cloudiness to it. 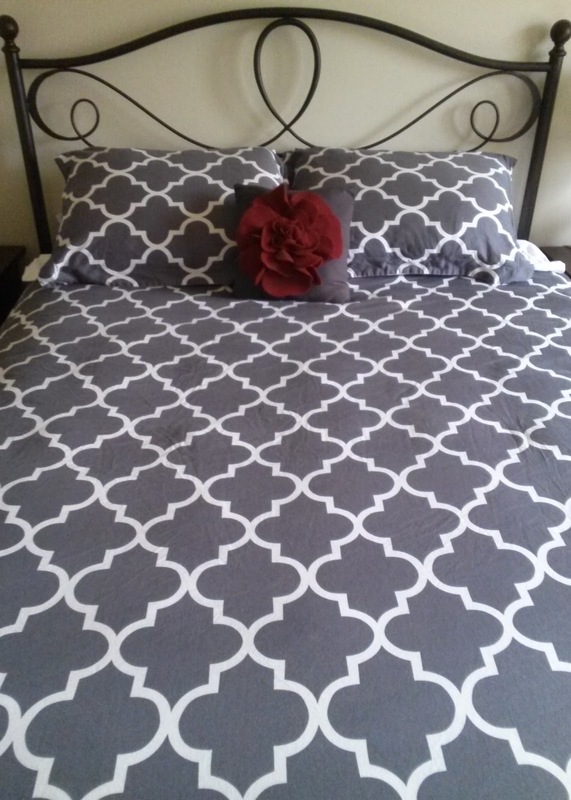 It's also soft and feminine. 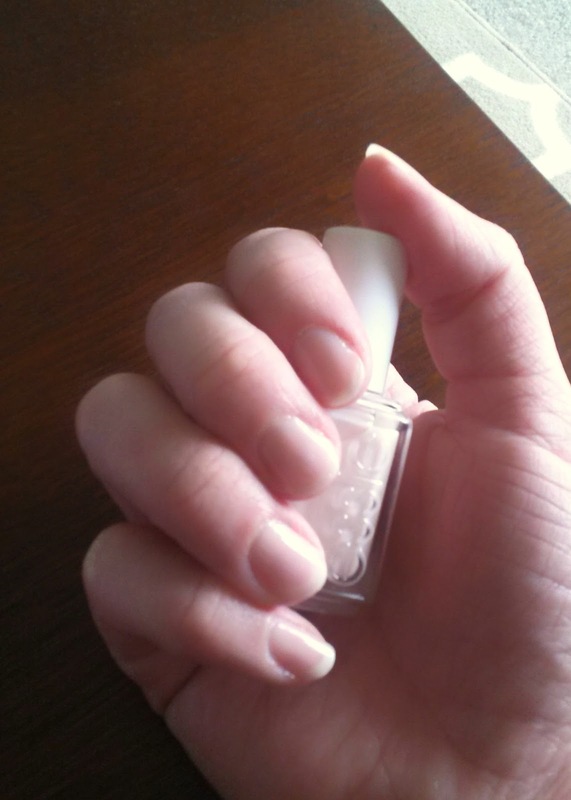 When my nails are a bit long, it's my go-to shade. 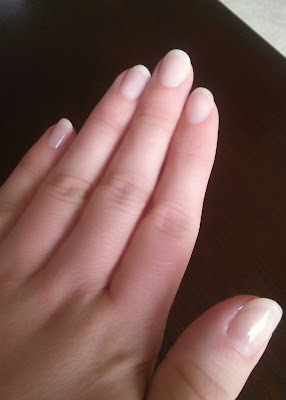 (I think a rich hue on a shorter nail still looks good, modern even.) If I'm in the mood for something different, it's also the one since my other lacquers are all vibrant and opaque. I've been wearing this for years now, but I bet that fellow Francopile Jennifer from The Daily Connoisseur inspired me to try it.